Armchair Book Expo Headquarters: The FIRST Armchair BEA Giveaway: FREE BBC Registration! The FIRST Armchair BEA Giveaway: FREE BBC Registration! The Armchair BEA Committee is so excited to announce our very first giveaway!! The Book Blogger Convention (BBC) has signed on as one of our sponsors, contributing one FREE registration to the Friday event. There is only one stipulation, due to registration technicalities, you cannot already be a registered participant. This giveaway is for someone that has not already registered! Now for the giveaway details . . . 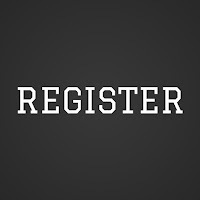 Enter for a chance at one free registration by completing the form below. The contest will run for two weeks, ending at 11:59 p.m. CST on Sunday, May 8, 2011. The winner will be chosen using random.org and announced here on the site on Monday, May 9th. Only one entry per person please. Any questions, please post in the comment section. After filling out the form, be sure to head on over to their website and in particular, check out the agenda for the convention! It has a great line-up of panel members, including one of very own founders of Armchair Bea! I just wrote a blog post about tips to attend BEA, but I'm updating it to include your giveaway! So cool of you to do this for one lucky book blogger. Almost makes me wish I hadn't already registered for BBC & BEA! *Rawr* This is an awesome contest--thanks so much--but anyone under 18 "must be"...yada, yada, yada..."industry professional". Thanks so much for sharing this. With the rest of us. I saw this on girl from the ghetto and had to enter.